The non-profit ZDF‘s Zoom tv documentary exposes Donald Trump’s lengthy history of living next door to the Russian mob inside Trump Tower, and the dirty deals he did with Bayrock Company, fronted by convicted financial felon Felix Sater. Zoom interviewed numerous American experts in money laundering, tax matters and familiar with the Trump Organization’s interactions with the Russian mob. The film proceeds to document the numerous ties between Russian, Italian and Kazakstani mobsters and operations run out of Trump Tower. They even interviewed Trump’s building engineer for the Tower who explained how he added 10 non-extant floors to the building. Trump Tower only has 58 actual stories, but Trump himself added 10 phantom stories to artificially pump up sales prices. “The Dutch [Zembla television] and German television producers have done an outstanding job documenting the Trump/Sater story,” attorney Richard Lerner who was featured in Zoom’s film told Occupy Democrats. He has been suing Sater over his and Trump’s participation in bank fraud with the Bayrock Company, which operated multiple failed projects from Trump Tower. 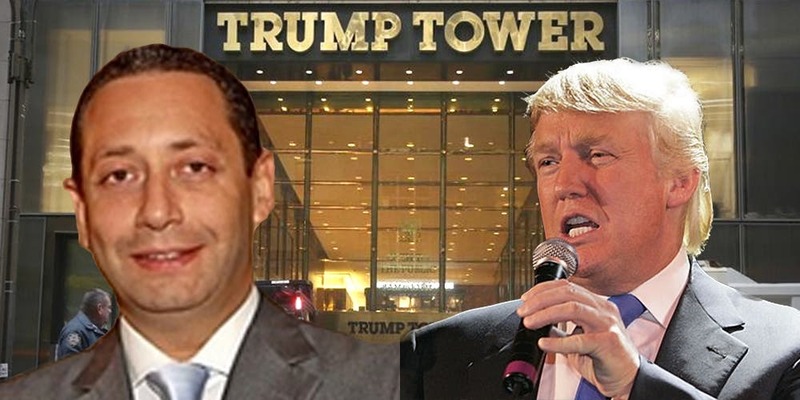 An award-winning BBC journalist reported that Felix Sater is cooperating with authorities against Trump, over his participation in the Bayrock deal. In the 1980s, the New York mafia controlled most sources of concrete and exercised influence over many labor unions, and Trump rarely, if ever, had problems with labor or obtaining concrete.